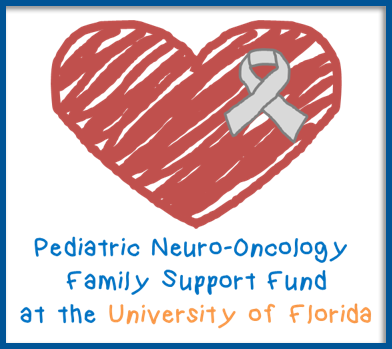 The University of Florida provides many services to care for pituitary tumor patients. 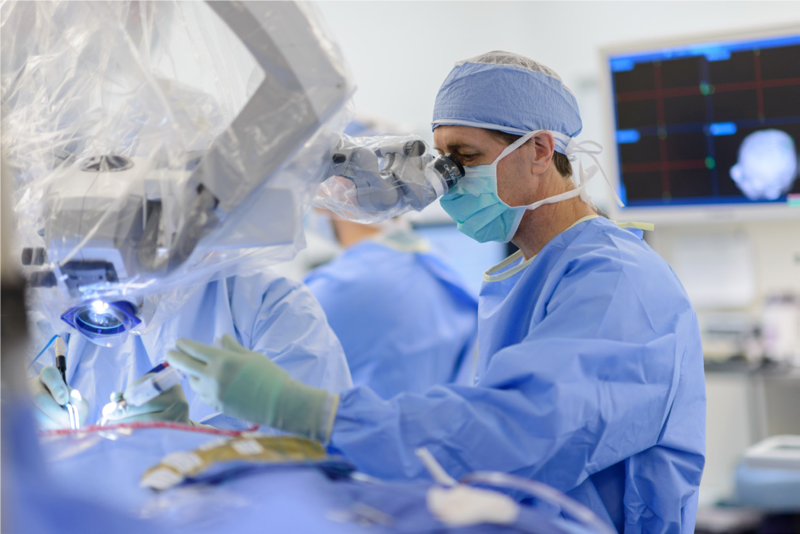 We perform over fifty pituitary operations each year (more than 800 total so far). The pituitary gland, located at the base of the brain, is a small organ about the size of an acorn. The pituitary gland is sometimes referred to as the “master gland” because it releases substances which control the basic functions of growth, metabolism, and reproduction. The pituitary gland is divided into two parts called lobes. These are referred to as the anterior and posterior lobes. Each lobe releases special substances, or hormones which control basic activities within the body. A tumor in the pituitary gland causes symptoms by either releasing too much of a hormone or by pressing on the gland causing it to release too little hormone. A pituitary tumor may also cause symptoms by growing and pressing on the structures, like the nerves to the eyes, surrounding the gland. An increase in the amount of growth hormone (GH) causes the body to grow at an abnormally fast rate. Bones become thicker, the hands and feet may appear wider or thicker, and the jaw may protrude. This is called ACROMEGALY. Elevated levels of prolactin may cause secretion of breast fluids and decreased sexual drive in men and women. It may also cause irregular or absent menstrual periods in women, and difficulty in having an erection or infertility in men. This is called a PROLACTINOMA. Typically these tumors can be treated with medication alone (bromocriptine). For pituitary tumors that do not secrete hormones, the initial symptoms may not occur until the tumor presses on the structures surrounding the normal pituitary gland. Once the tumor is larger than 1 centimeter, it is called a MACROADENOMA. Because the pituitary gland is located within the skull, when it becomes large, it may cause headaches that get worse as the tumor grows. Also, since the pituitary gland is located near the eyes, it can press on the nerves to the eyes and cause loss of vision. Loss of peripheral vision may occur first and be undetected by you. This may progress to eventual blindness if the pressure is not removed from the nerve. The tumor may also press on the nerves that move the eye and cause double vision. If the tumor is very large it may press on other parts of the brain and cause problems with memory, weakness, or numbness. 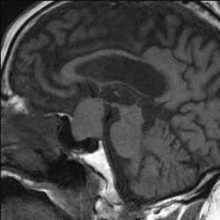 Some pituitary tumors may be observed without treatment because they may grow very slowly. Pituitary tumors are usually benign. It is rare for them to ever become malignant. If a decision is made to observe the tumor without treatment, ongoing evaluations by CT or MRI, by an endocrinologist, and by an ophthalmologist will be done. CT or MRI scans will be performed within 3-6 months after the initial diagnosis and every 6-12 months thereafter until the situation has been clarified. This period of observation without treatment provides information that helps the doctors decide whether other treatments that have more risks are needed. Observation without treatment may also be recommended if conditions are present that would seriously increase the risk of surgical or other treatments. Because pituitary tumors are slow growing, patients can often be observed without treatment for long periods of time without the tumor causing serious problems. This is often the recommended form of treatment for patients who are age 70 or above or who have a serious medical illness such as heart disease. Close follow-up may be necessary to monitor tumor growth and symptoms. Only one type of pituitary tumor can be successfully treated with drugs alone. This type of tumor secretes a hormone called prolactin. Tumors that secrete prolactin are called prolactinomas. Prolactinomas can often by controlled by a drug called bromocriptine. This drug will most often cause a reduction in the size of the tumor and at the same time cause a decrease in an abnormally high prolactin level in the blood. Although Bromocriptine may control the tumor, it may not cure it. Treatment with Bromocriptine must often be continued for many years at reduced levels. In most cases, bromocriptine is an effective treatment for prolactin secreting tumors and has few side effects. However, some patients develop nausea, headache, dizziness and weakness while on this medication. Usually these symptoms can be reduced by taking small doses of the drug at first and slowly increasing the dosage up to the needed level over a period of several weeks or months. Bromocriptine will not control all prolactin-secreting tumors. For approximately 20 per cent of patients with prolactinomas, surgery or radiation therapy may be needed. Another treatment option for pituitary tumors is radiation therapy. Radiation therapy is most commonly used after surgery. Most people think of radiation therapy as a treatment for malignant tumors. As previously mentioned, most pituitary tumors are benign tumors and not malignant. Even though most pituitary tumors are benign, some tumors have roots in the bone or coverings around the brain that involve vital nerves or blood vessels in such a way that surgical removal would cause significant damage to these important structures. In these cases it is best to treat the main part of the tumor with surgery and to use radiation therapy for the roots or remaining tissue. Radiation therapy, given under the direction of specialist called a Radiation Oncologist, is most effective when the size of the tumor has been reduced by surgery. The greater the amount of tumor at the time of radiation therapy, the less effective the treatment will be. Radiation therapy usually requires a series of treatments lasting a few minutes each day for four to six weeks. In most cases, the treatment is painless and can be done on an outpatient basis. Radiation treatments are generally begun a few weeks or months after surgery to allow time for the incisions from surgery to heal. The ability of the gland to produce hormones often decreases slowly after radiation therapy. Twenty (20) percent of patients who have normal pituitary function early after the completion of radiation therapy will require hormone replacement after two years. This figure rises to 50 percent after five years. A specialized form of radiation therapy called radiosurgery can be used in selected cases. Radiosurgery involves a single, highly focused radiation treatment. The patient can often return home after the single treatment which is done as an outpatient. Surgery is the preferred method of treatment for most pituitary tumors. Two types of operations are done for the removal of pituitary tumors. One, called a craniotomy, is directed through the skull above the eye. The other, called a transsphenoidal operation, is directed through the nose. The craniotomy operation involves making an incision on the scalp near the top of the head. A piece of bone is then lifted out and the coverings over the brain are opened. The lower part of the brain is gently lifted to expose and remove the tumor. The piece of bone is then replaced and the scalp is closed with stitches or staples. In most cases, the incision on the head can be placed so that the scar is hidden by the hair. This type of operation is not often needed for a pituitary tumor, but it is sometimes necessary if the tumor is very large and/or it cannot be reached through the transphenoidal operation. The transsphenoidal operation is the most common operation for a pituitary tumor. The surgical approach for this operation is through the nose. There is no incision on the face. This surgical approach provides the best exposure of the tumor at the lowest risk. The operation normally takes two or three hours. Following the operation, most patients spend one day in the intermediate or intensive care unit before returning to their hospital room. Patients usually stay in the hospital for three or four days following the operation.